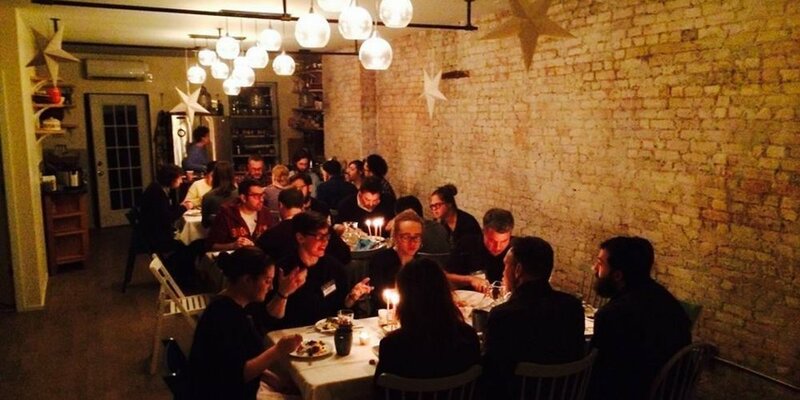 A progressive, GLBTQ-affirming congregation in the Gowanus neighborhood of Brooklyn, New York, St. Lydia’s Dinner Church works to dispel isolation, reconnect neighbors, and subvert the status quo. St. Lydia’s Dinner Church is a new Lutheran congregation that gathers around tables. They began with denominational support from the Evangelical Lutheran Church of America and the Episcopal Church, in addition to a few major donors. As their community grew, they moved into their own space, worshiping on Sunday morning and evening and Monday evening, and providing co-working space for entrepreneurs during weekdays day which not only dispels isolation but provides a revenue stream. Their congregation is now supported by congregants themselves, denominational grants, rentals, co-working and major donors who find value and satisfaction in supporting the congregation’s mission and vision. 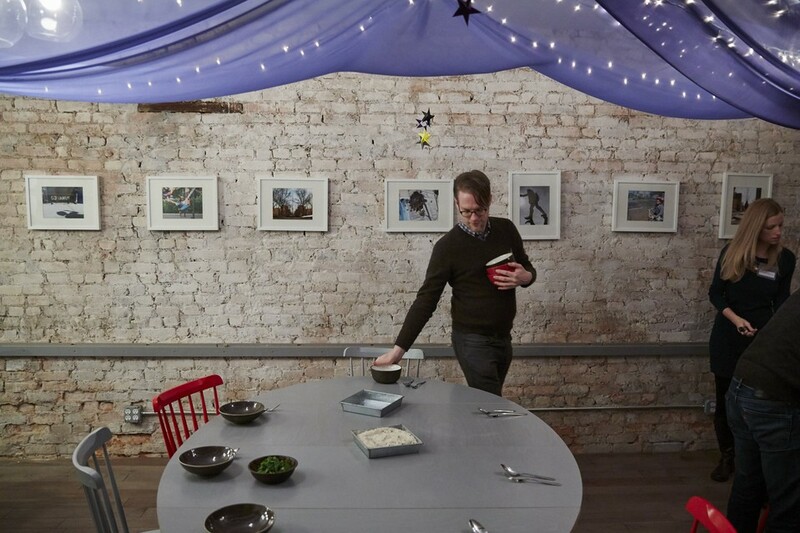 In anticipation of waning denominational grant funding, the Vandersall Collective was contracted to create and implement their major donor (Chef’s Table) program. Working with Emily Scott, their pastor, we conceptualized and wrote major donor collateral materials, assisted in the creation of major donor tracking process and annual fundraising calendar, and organized and implemented major donor cultivation events, one from afar in the Bay Area and the other in New York City. We were thrilled that the major donor program attracted new donors and raised the commitment of existing donors, and that the leadership of St. Lydia’s now has a structure to implement moving forward. However, perhaps the most favorite part of our work together was coaching Emily and their Leadership Table and Fundraising Team. Together we learned how to communicate pastorally with and empower millennials in their giving. We led multiple fundraising trainings where we explored theological and emotional responses to money and fundraising in the church, invigorating congregant volunteers to engage both outside donors and their fellow congregants in generous giving. Mieke also preached at St. Lydia’s and the led a conversation with the congregation at large in preparation for their stewardship season.